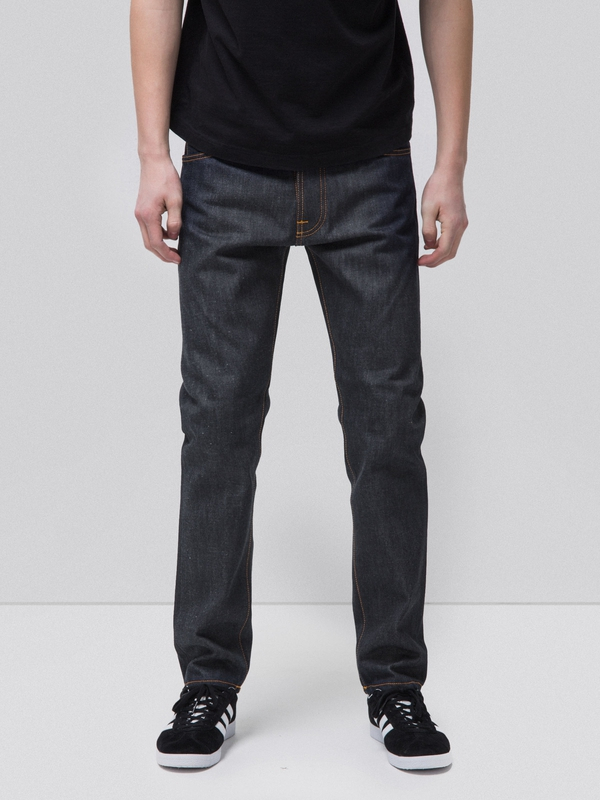 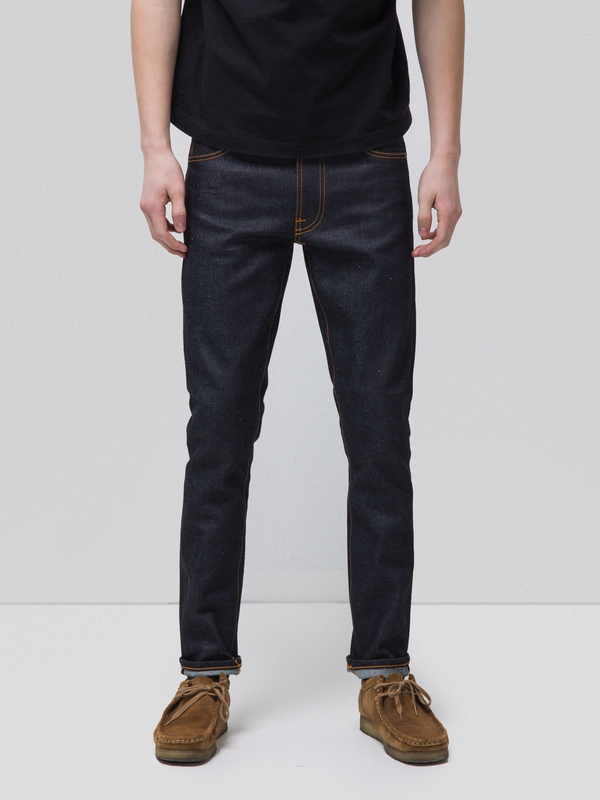 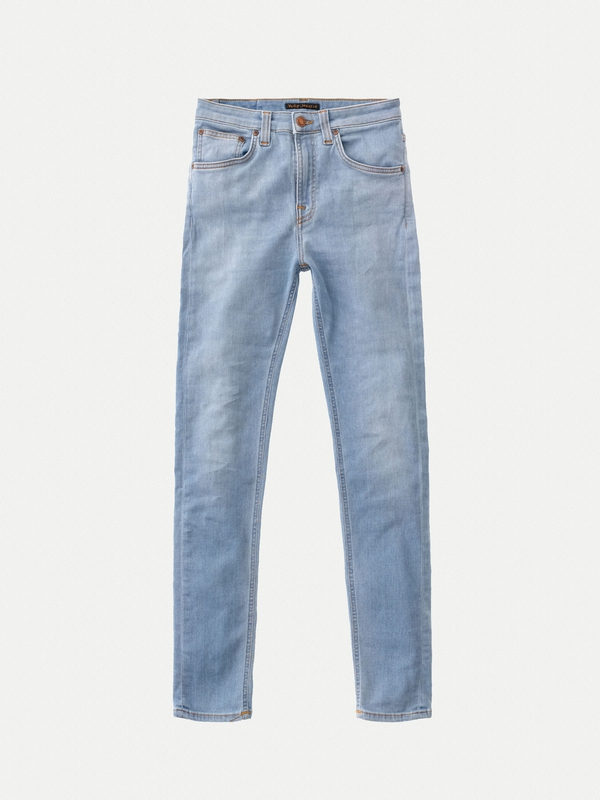 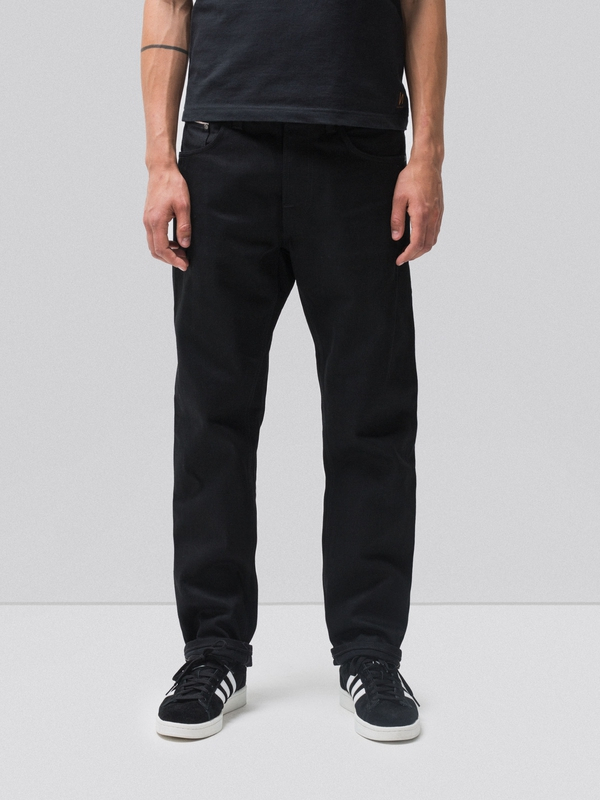 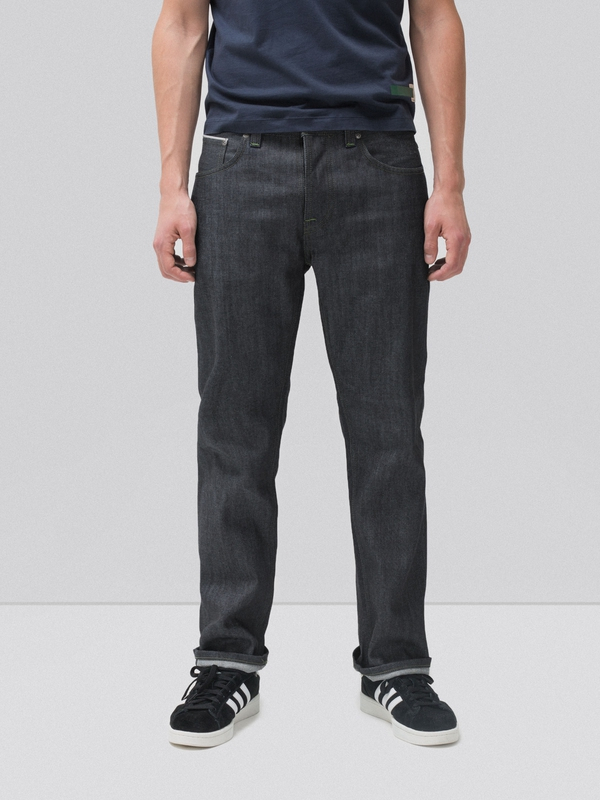 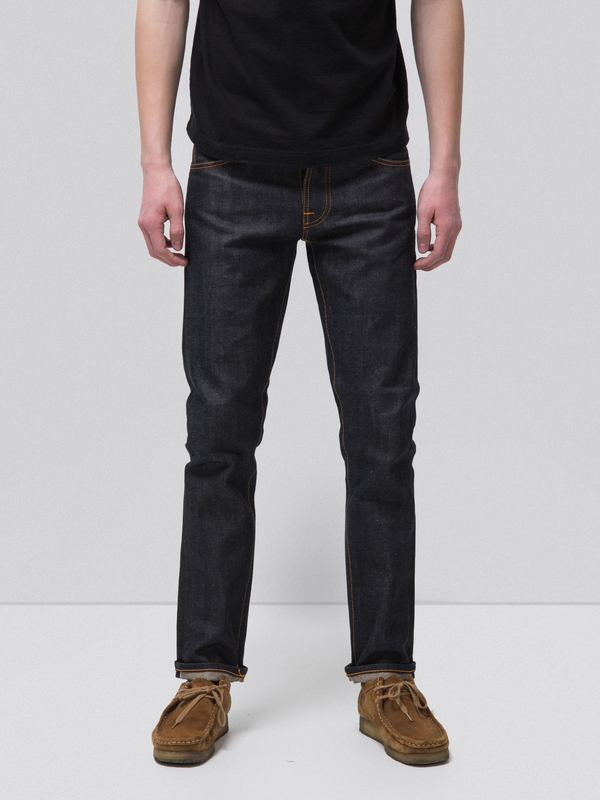 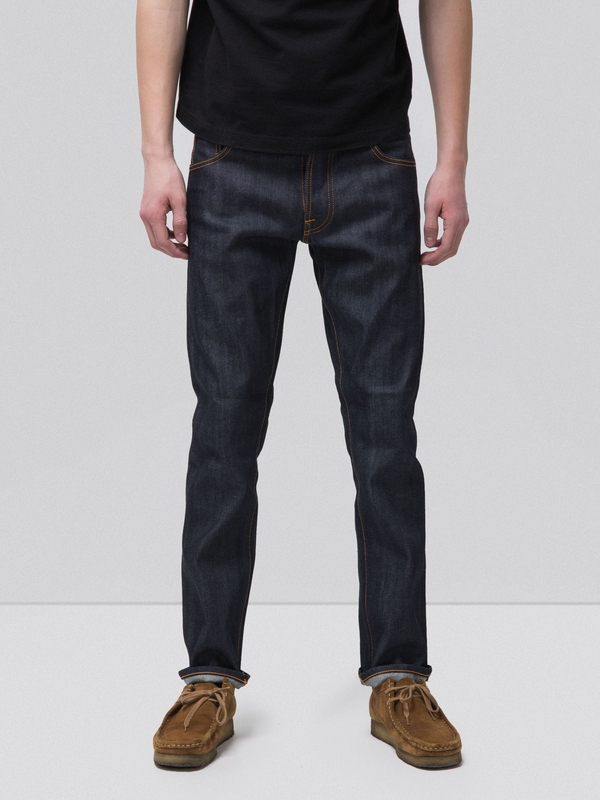 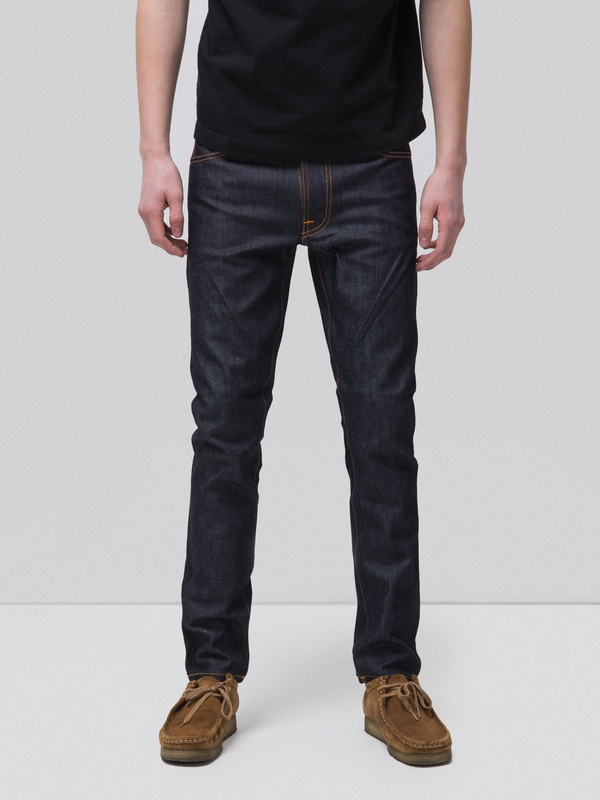 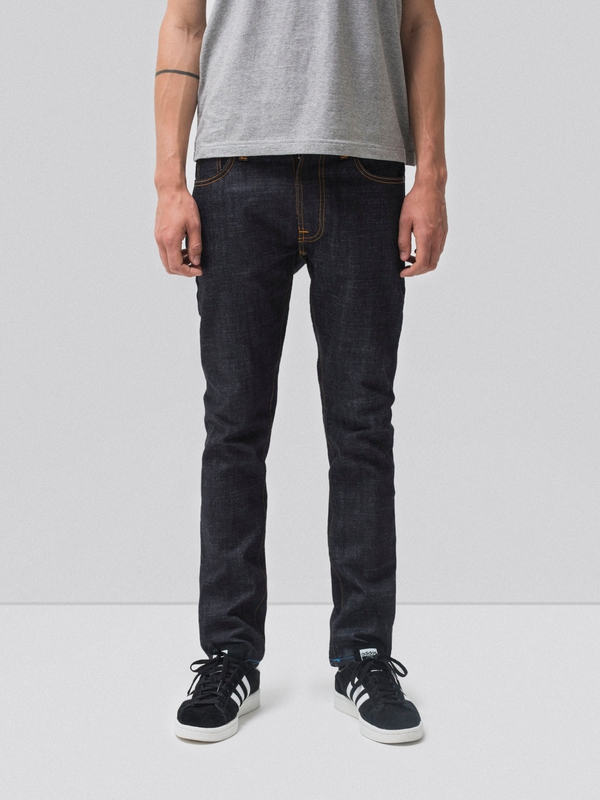 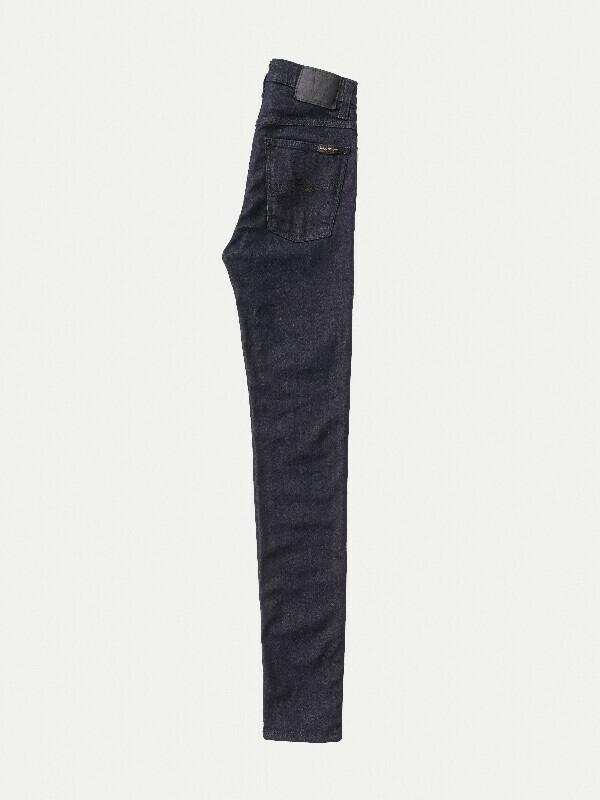 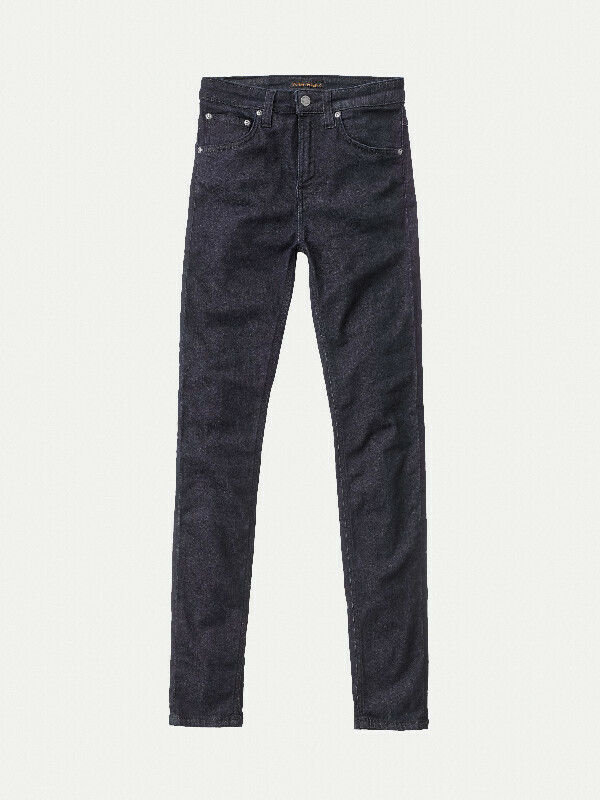 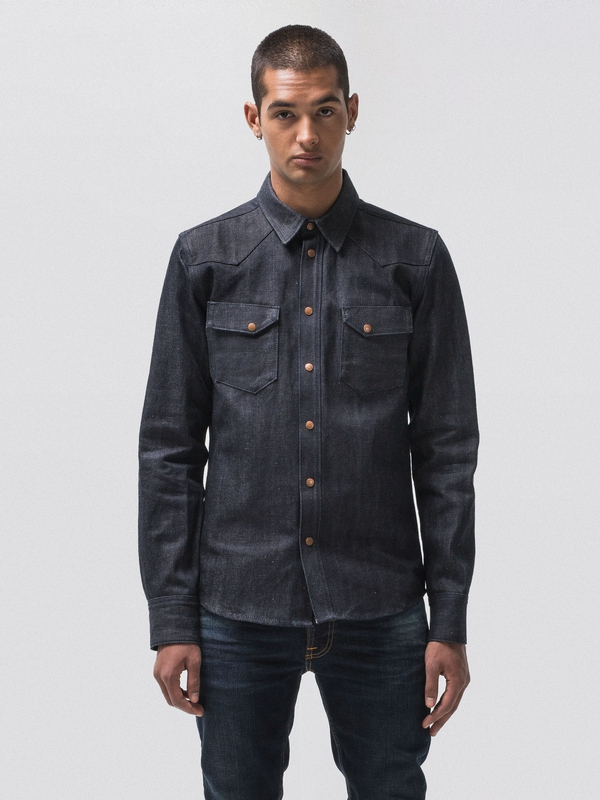 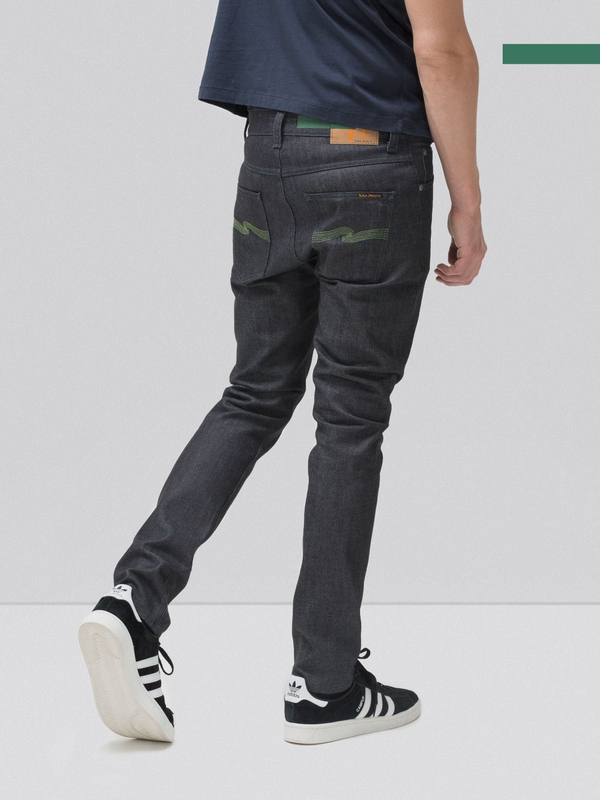 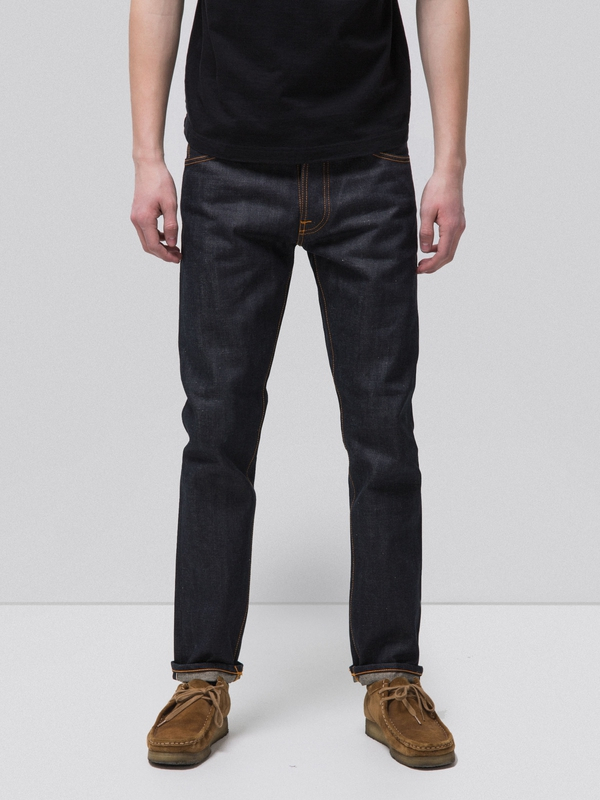 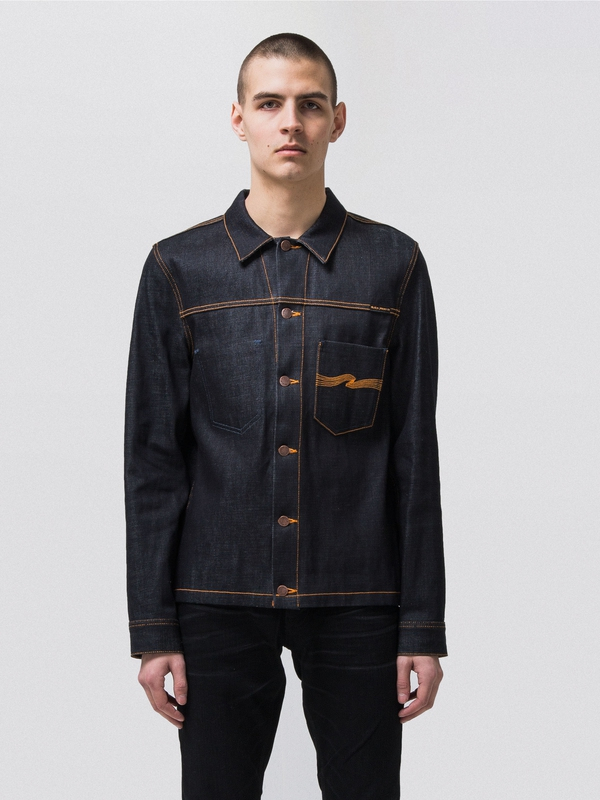 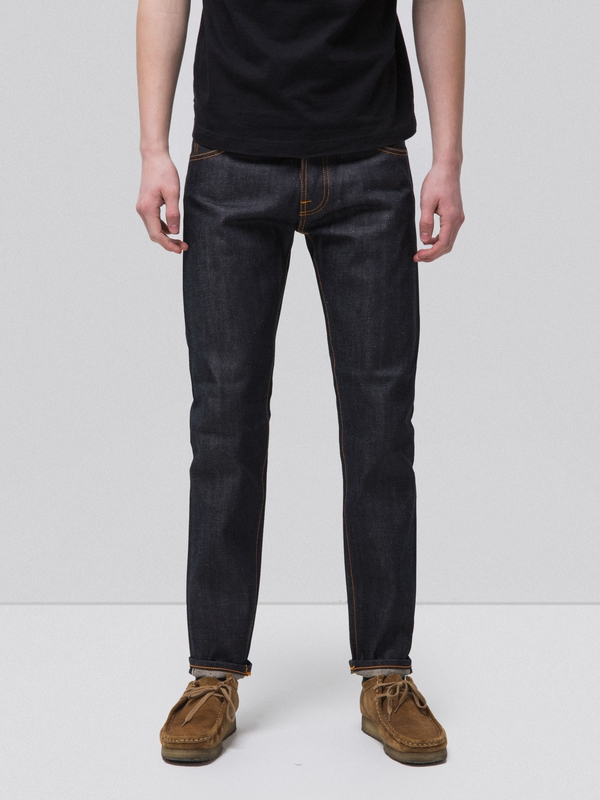 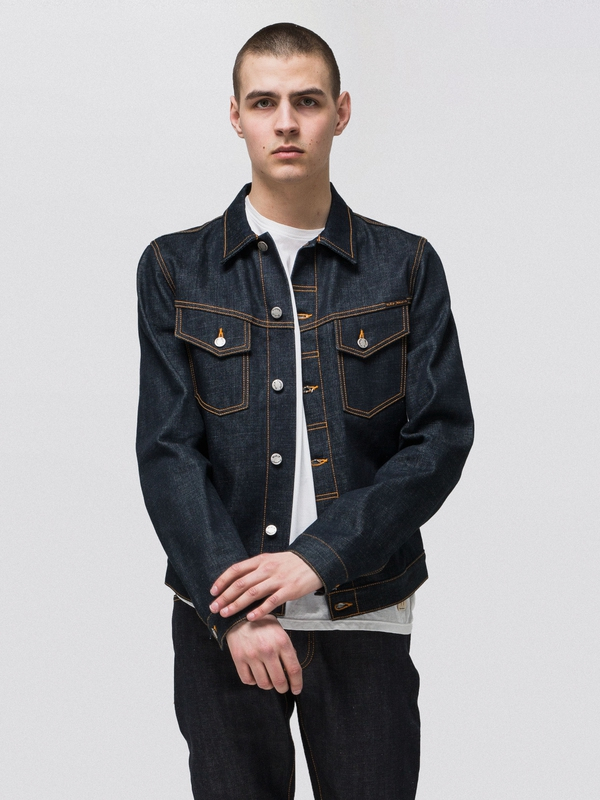 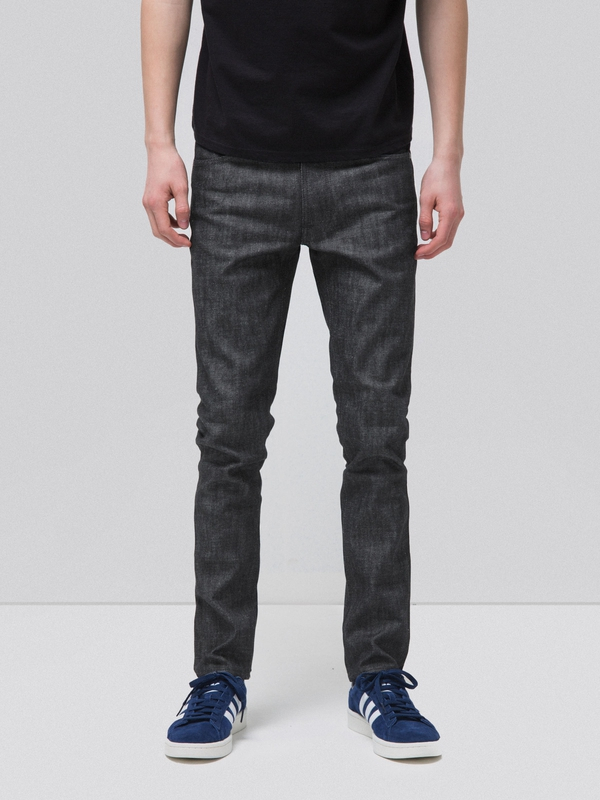 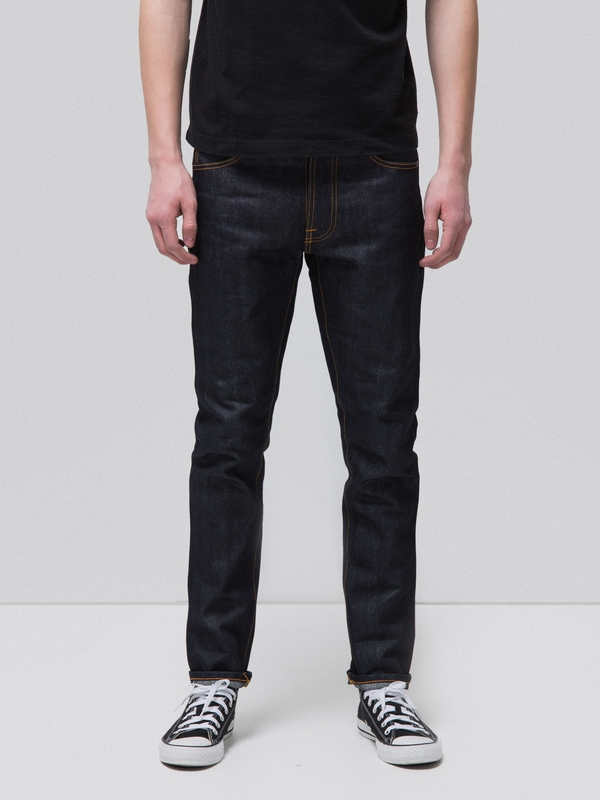 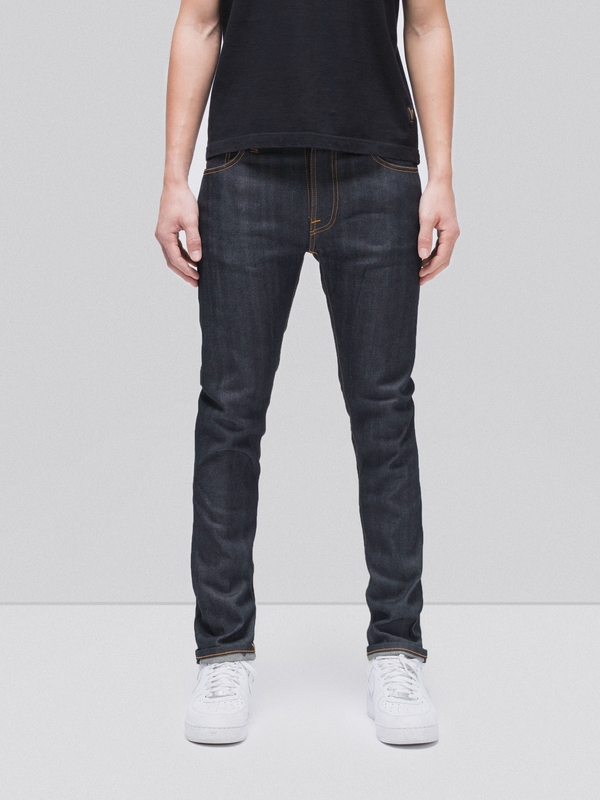 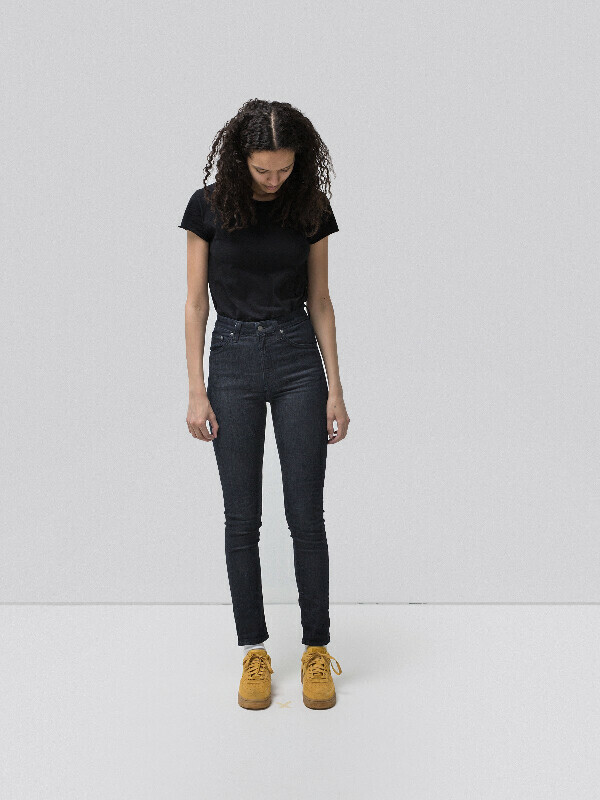 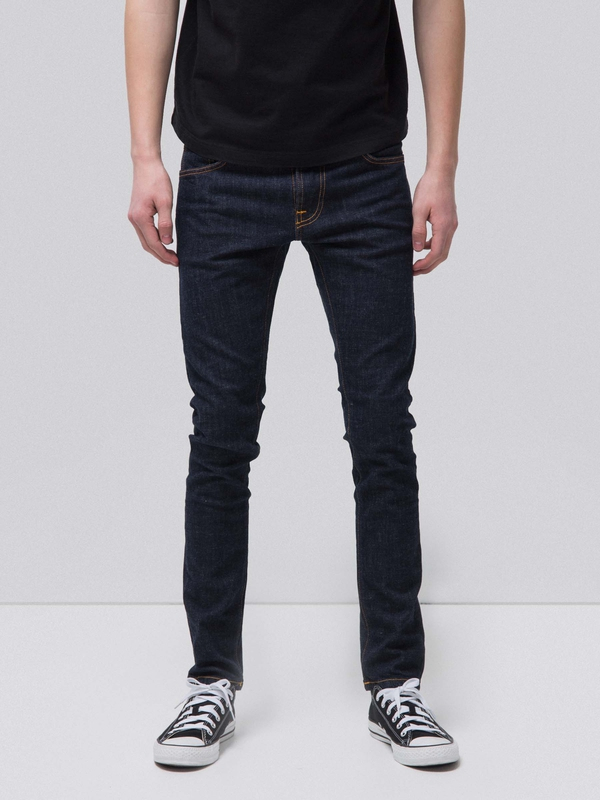 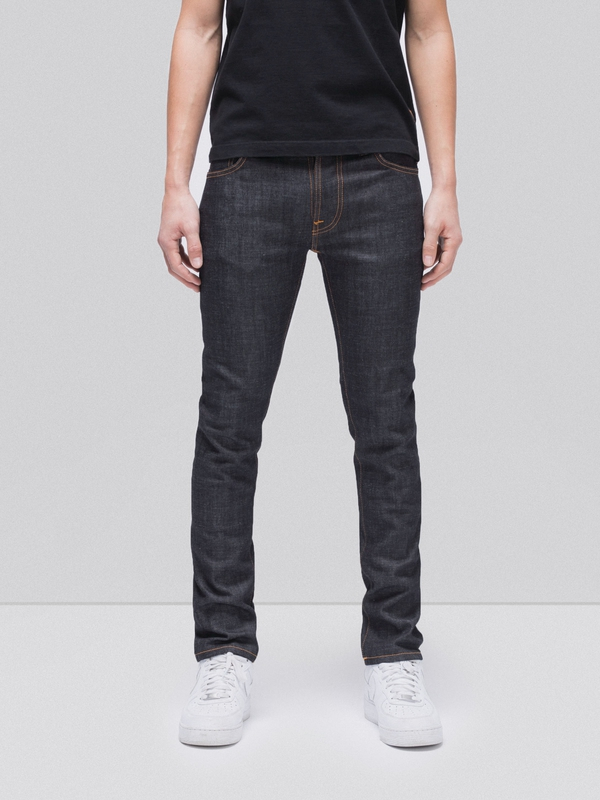 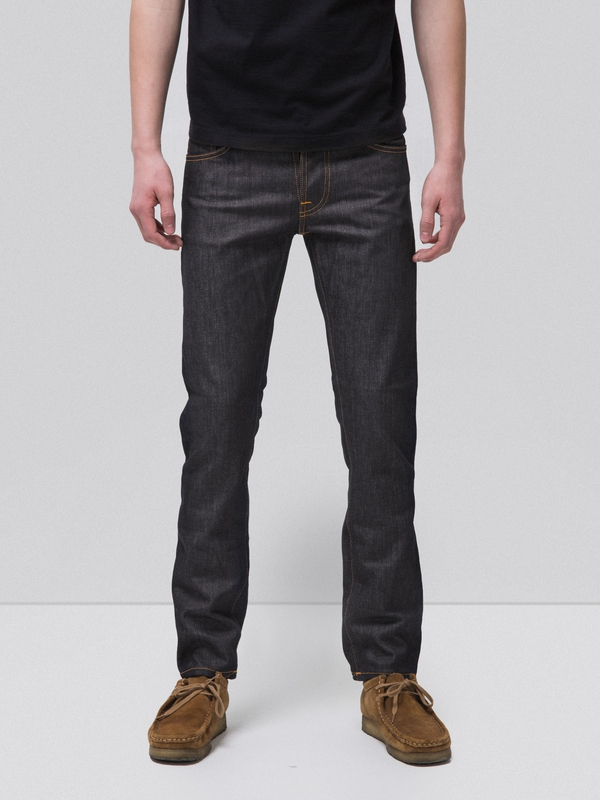 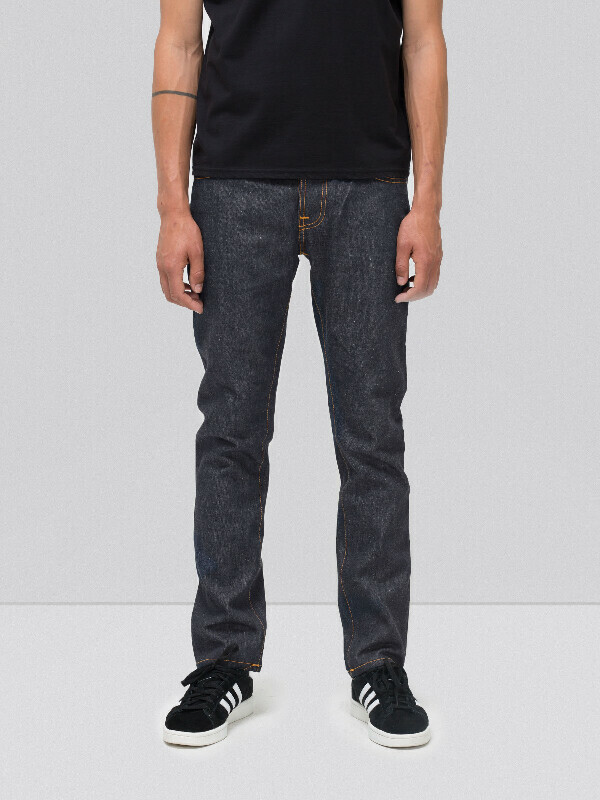 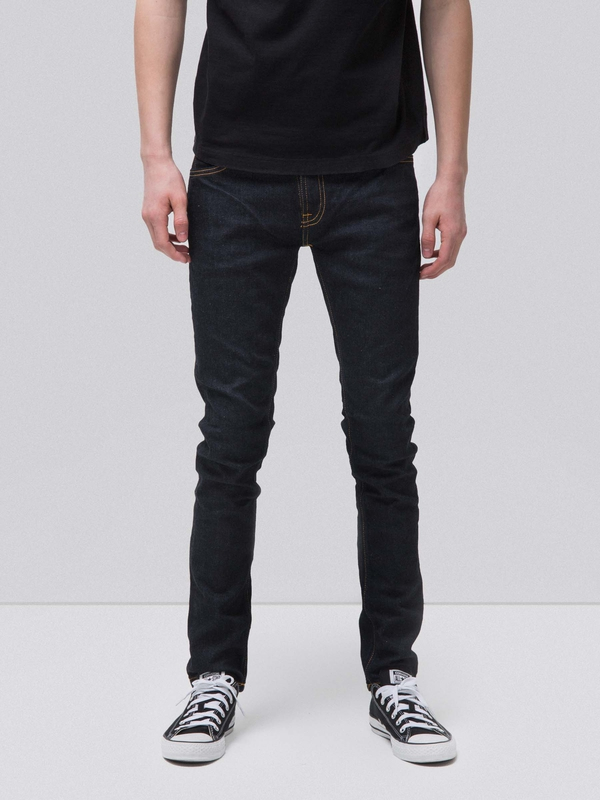 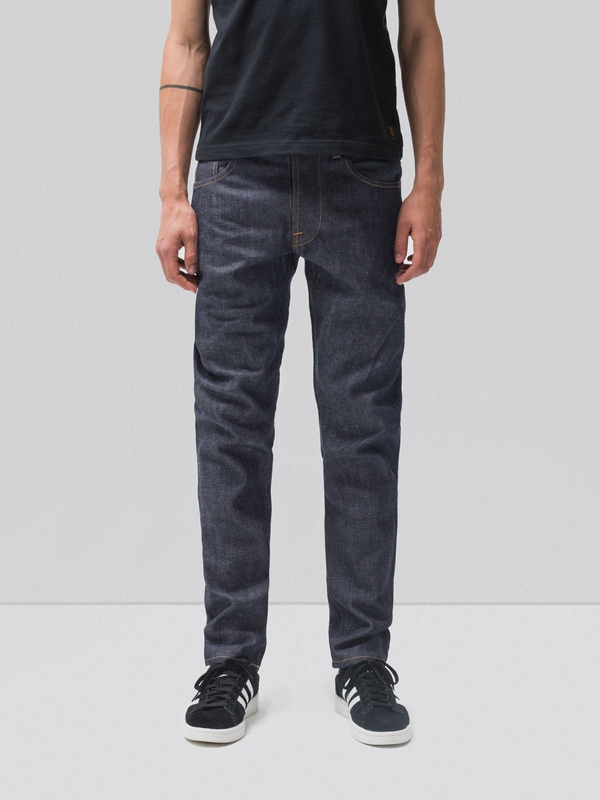 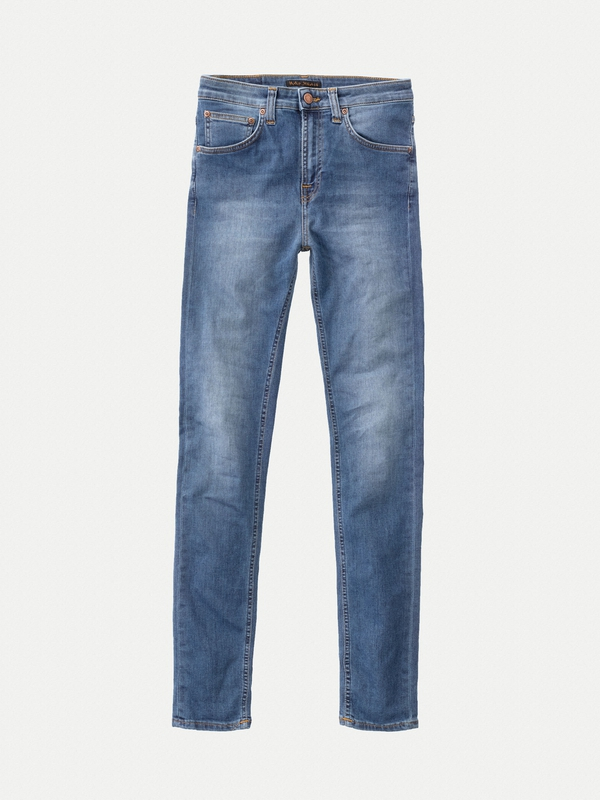 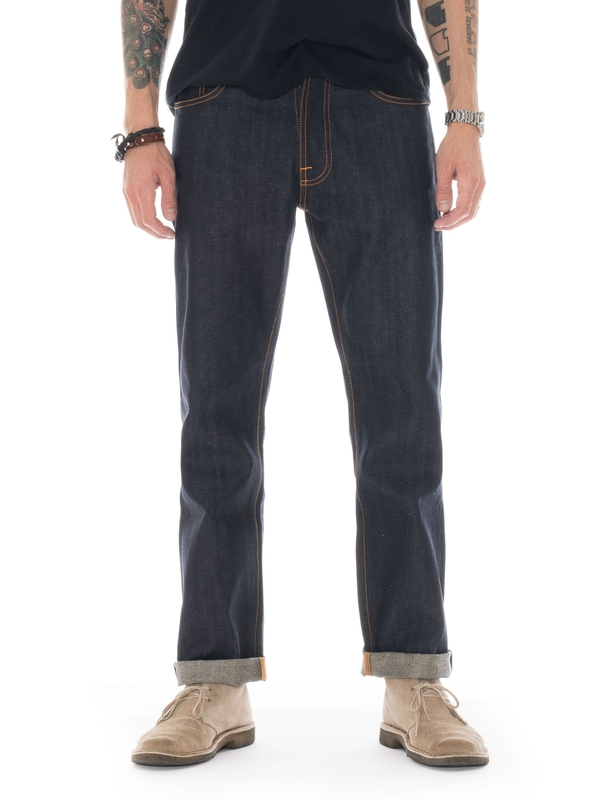 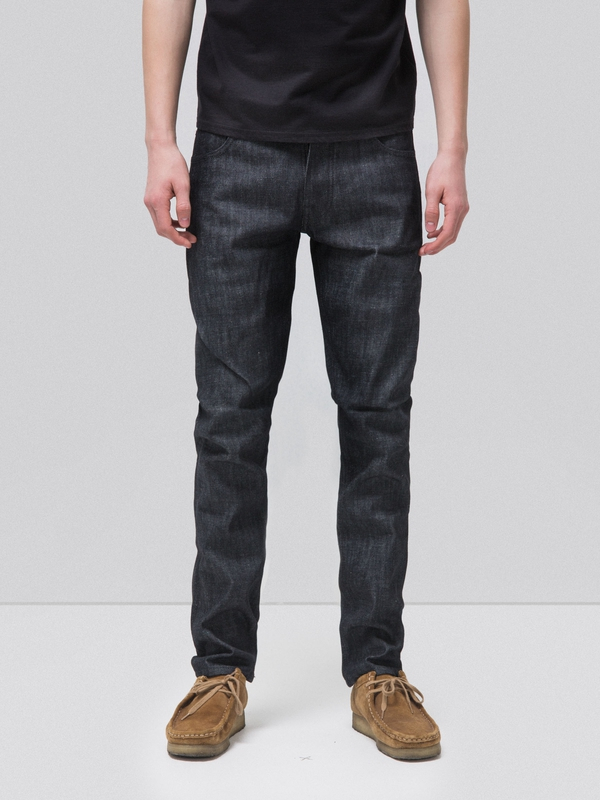 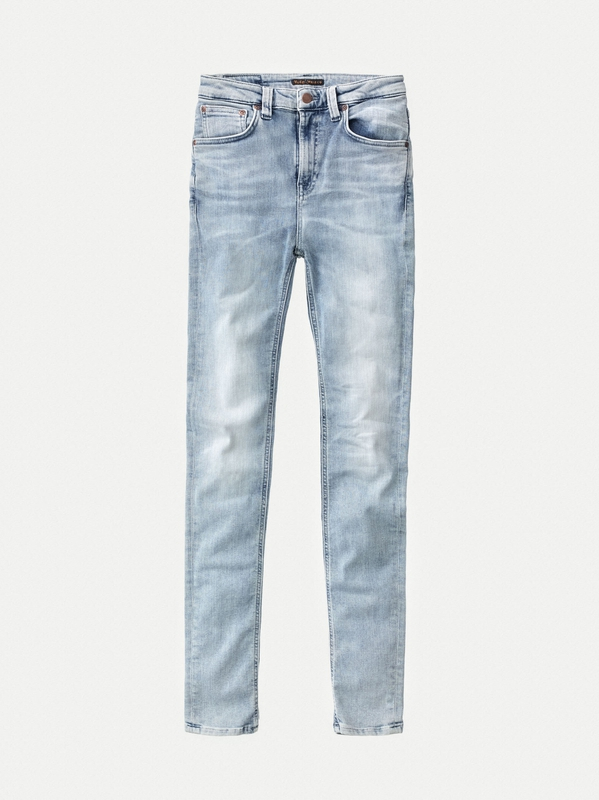 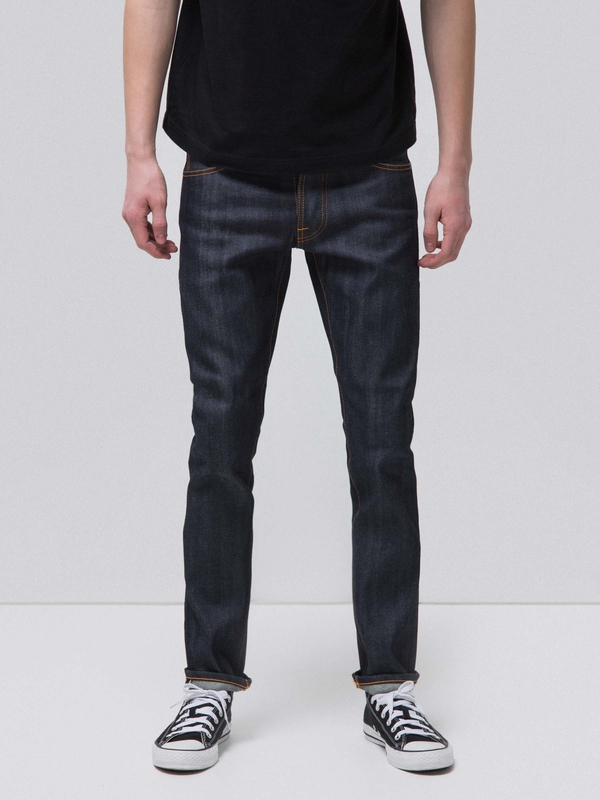 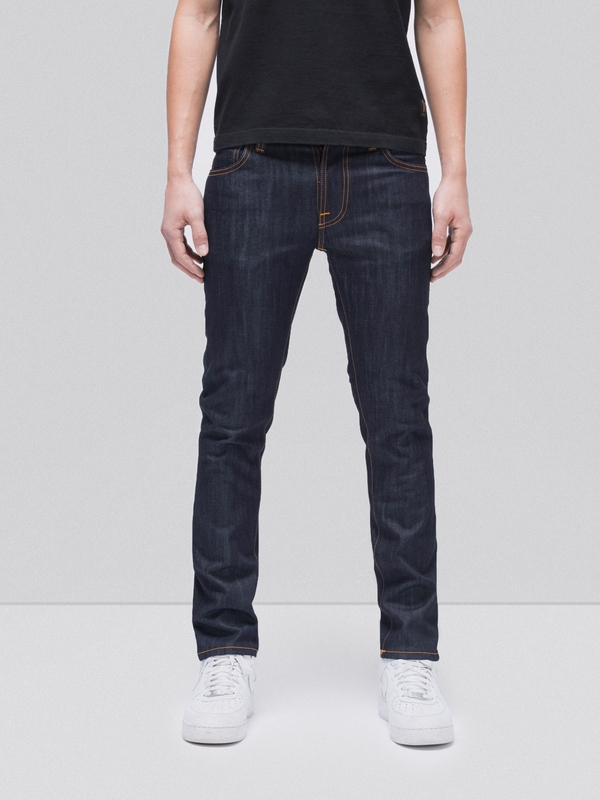 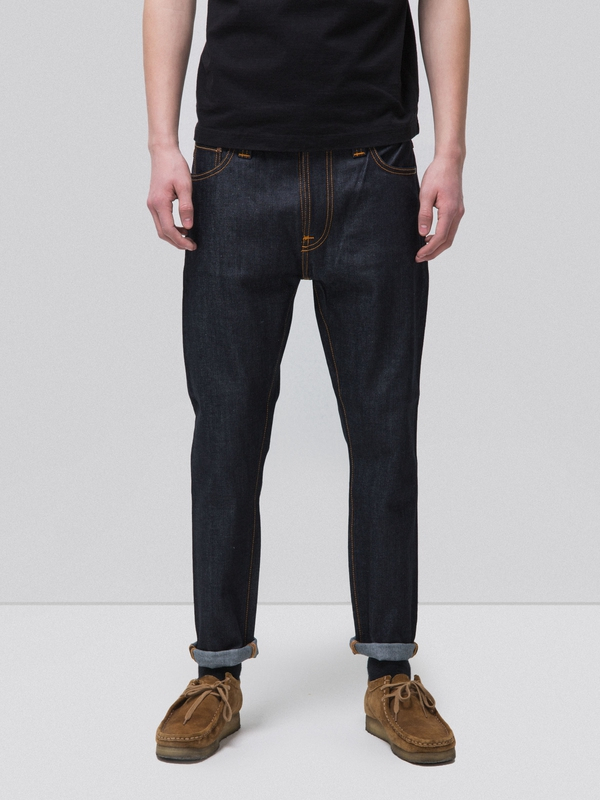 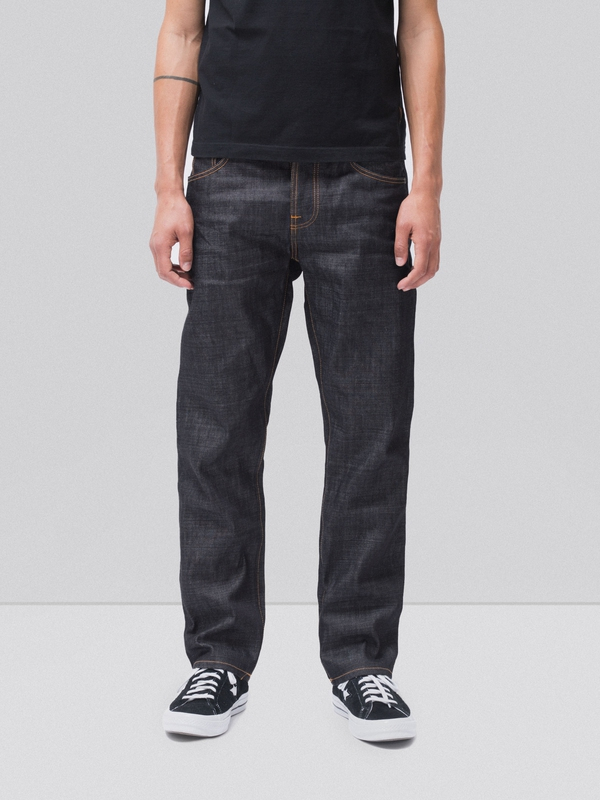 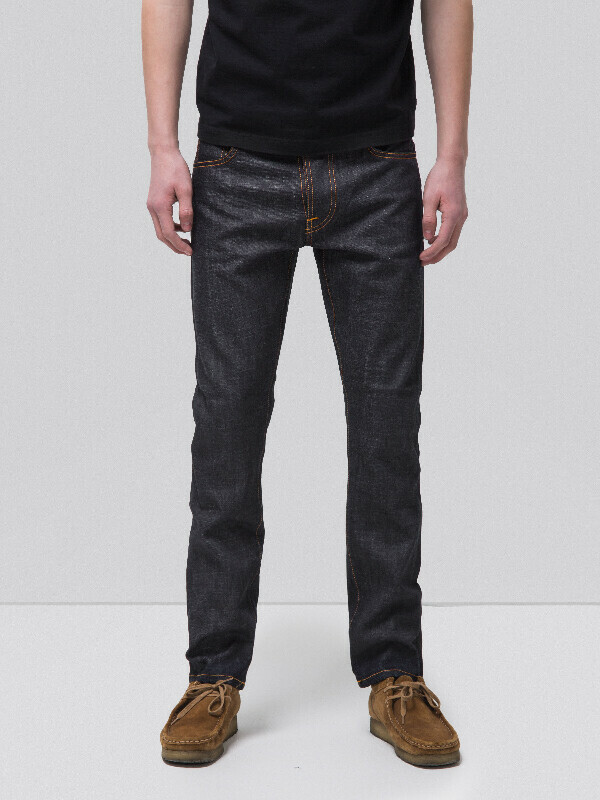 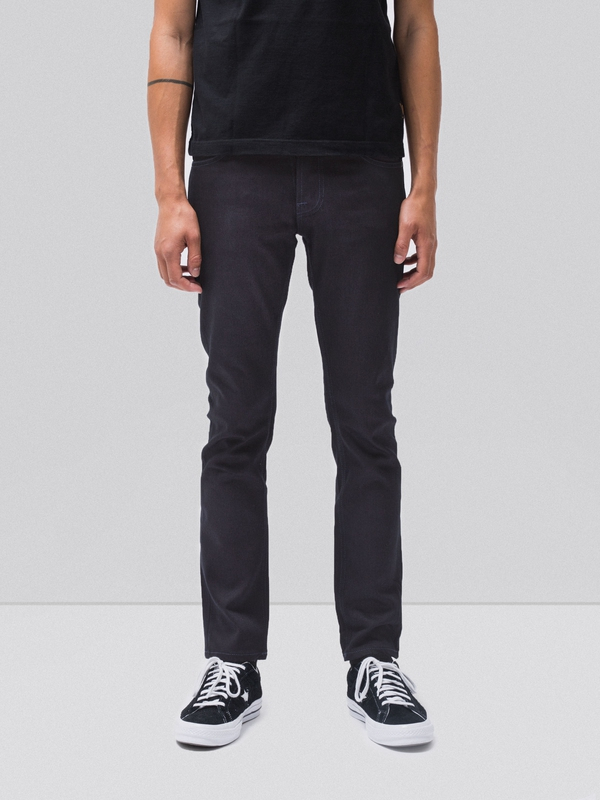 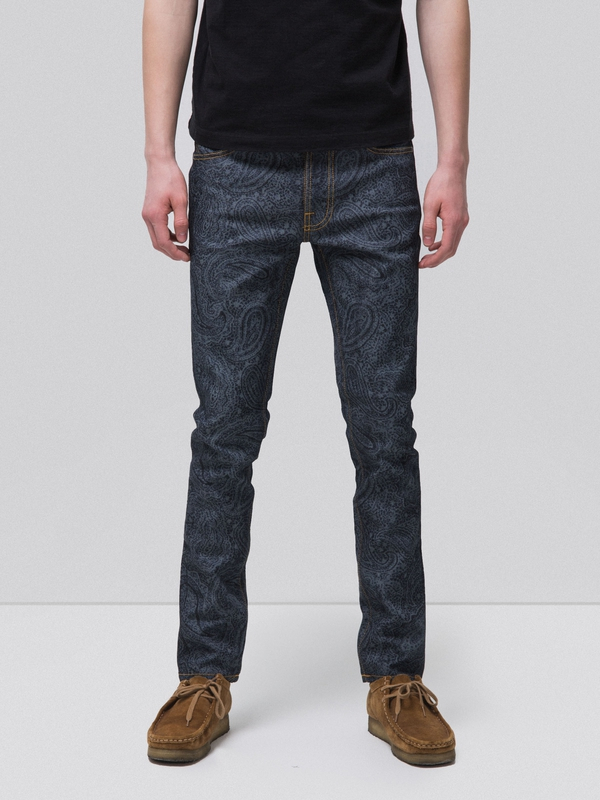 Jeans made in lightweight, super stretch denim. 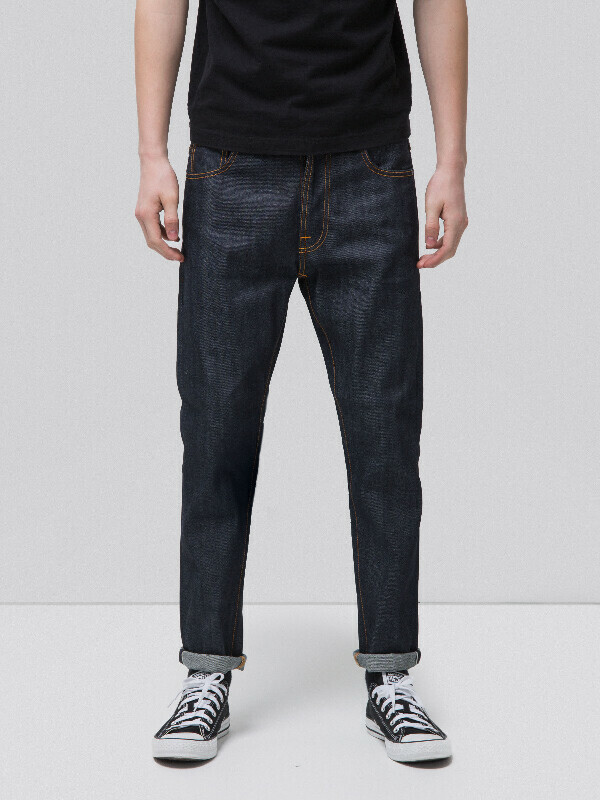 They've been given a rinse to bring out maximum elasticity. 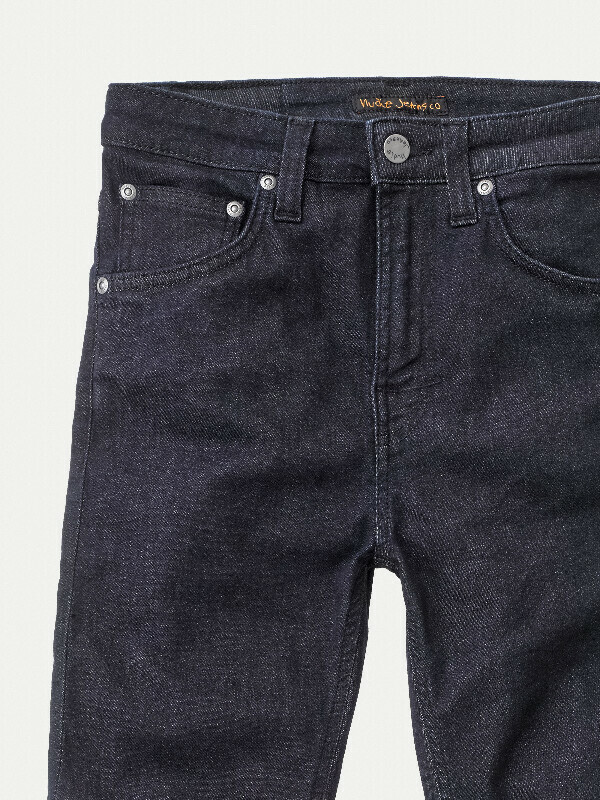 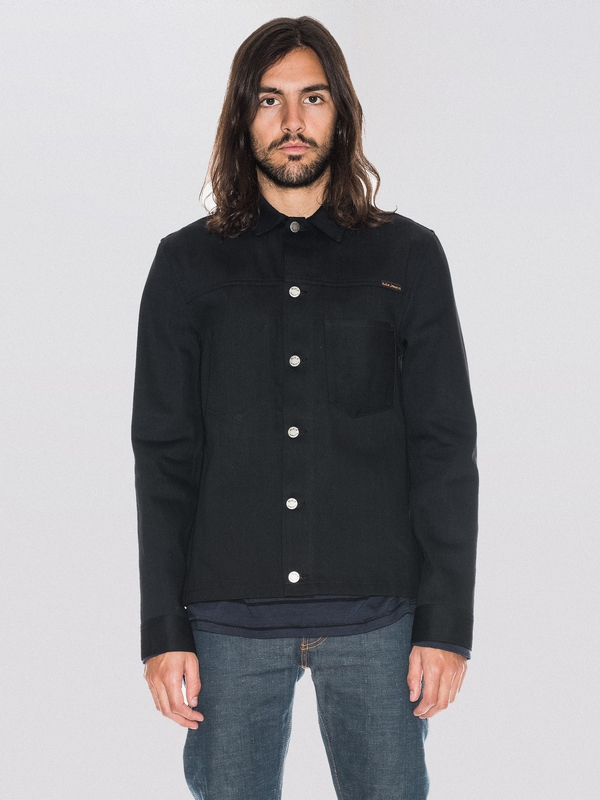 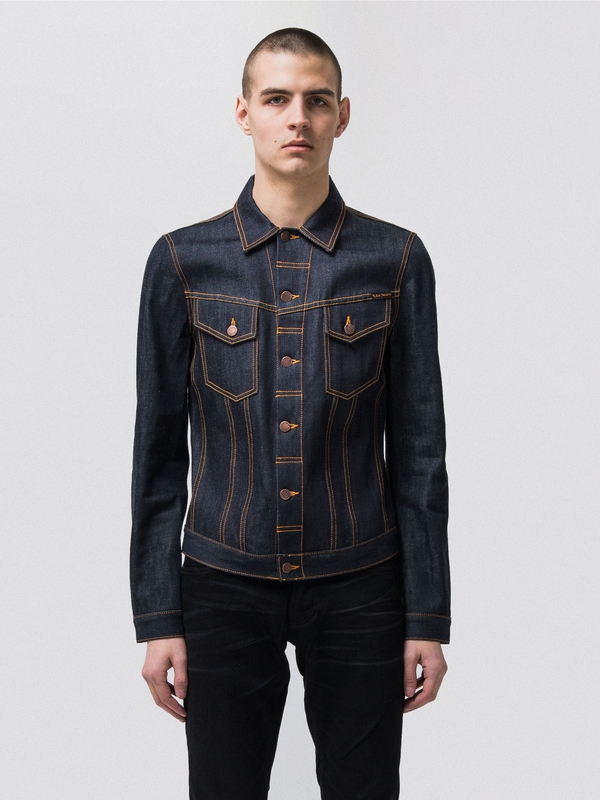 Black threads on all seams and back pocket embroidery give an all-over dark feeling. 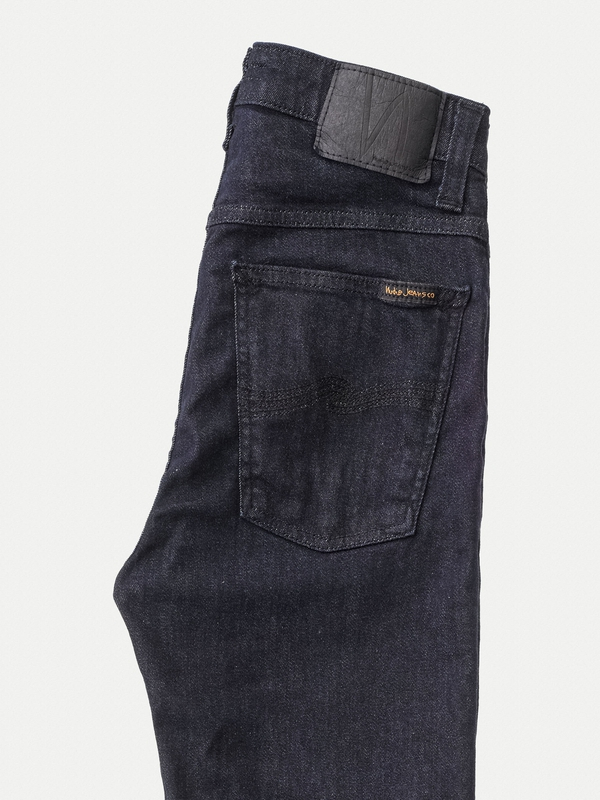 The leather patch has been replaced with a vegan jacron (paper) patch.